I've missed this space. I've missed the connections I make with people through it. I miss sharing my heart and having the Lord punch me in the face challenge me through writing here. I took a few weeks away to breathe, to work on some non-blogger-type projects, and to just be. It was wonderful. I thought it seemed a good fit to return from my blogging break with my most awkward video blog to date. I hope you enjoy it. Before I unveil the awkwardness, two things: one - this blog post is alternately titled "Food Is My Favorite." Because apparently it is. Two: Excessive air quotes and talking with your hands is the new cool thing to do. Music: JJ Heller's "True Things"
"Un-thaw" is definitely not a real word. My facial expressions in this video are ridiculous. All my eyebrow raising and slightly-ghetto-girl-head-bobbing shows my genuine excitement to talk about food. Oy. 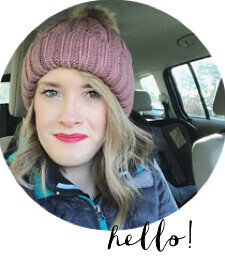 Join me in linking-up with Ashley and Chelsea! Glad you're back, I really missed your posts! I loved your vlog, food is my favorite too, haha! My seven month old is just starting to eat solids and we're doing the baby led weaning method. It's going pretty well, but he can't eat everything yet (salt, egg whites, stringy or hard foods) so sometimes I'm kind of out of ideas. So every food blog tip is very welcome, so I'm checking your links out for sure! As for food blogs i like: thekitchn.com is awesome! ooooh ok chocolate has to be my favorite and YES to avocados. =) SO good. Loved your meal planning tips! I pinned them to look over again later. Chocolate and avocados omg. I live alone and I still by myself the bulk bag of avocados. And they totally all get eaten. Also totally making something from mel's kitchen cafe tonight after watching your vlog. Haha thanks for sharing that resource. And yeeesss the frozen banana soft serve is so good. The last time I made it I just did banana and a scoop of instant coffee. So good and versatile. Hope you have a beautiful week, Mackenzie! welcome back...bread and butter would be hard for me to give up! juice...and too many desserts to name...lol...I don't think I could pick just 2~! I'm glad you took a break but I'm also glad you're back! I meal plan only dinner but I feel like I'm getting in a rut with lunches. And you and 5ohBig and your avocados.. my girl eats an avocado like seriously every day. Love ya girl! yay! another kitchen recording! (me too :) We're like vlog twins. What with the hubby's in the blog and now this! For real though, it was so nice to see and hear from you again girl! I like your meal planing style. I tend to just kinda throw stuff together everyday which leads to a lot of unhealthy meals - except for the weeks I was smart enough to buy fresh groceries. Also - I'm so glad you're back!!!! Seriously. AND I can't wait to meet you in a few months okay! Great to see you again! Missed hearing from you this month. I do the same thing and only meal plan dinner and keep healthy stuff on hand for breakfast and lunch. Um... dairy free ice cream! Yes please. Can't wait for that recipe. So nice to meet you through this link-up! I just started meal planning too! I co-host a menu plan Monday link up on my blog where I have found quite a few great recipes! I love that it's awesome bloggers sharing their finds all in one place once a week! I think my entire meal plan for next week is just from this vlog link up and the menu planning one, haha! Certainly helping to mix it up!I definitely only do dinner as well! I can't wait to pop over to see how you do it! Can't wait for that banana ice cream recipe! And I am with you girl...Chocolate and Avacados! Micah and I eat an avocado a day. And what!! !- Brian doesn't like chocolate! Craziness! This was so fun to watch Mackenzie! It was so funny and totally down to earth. I love avocados too! Can't get enough of them!